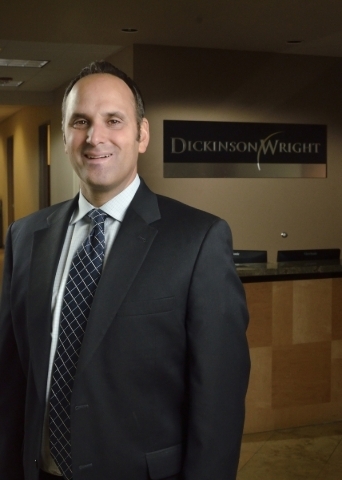 When the State Bar of Nevada wanted a presentation on the state’s new commerce tax, the group turned to Matthew Policastro, a tax attorney in the Las Vegas office of national law firm Dickinson Wright. Bu the most important takeaway, he said, is all entities that conduct business in Nevada must file a return whether or not the business meets the $4 million revenue income threshold. 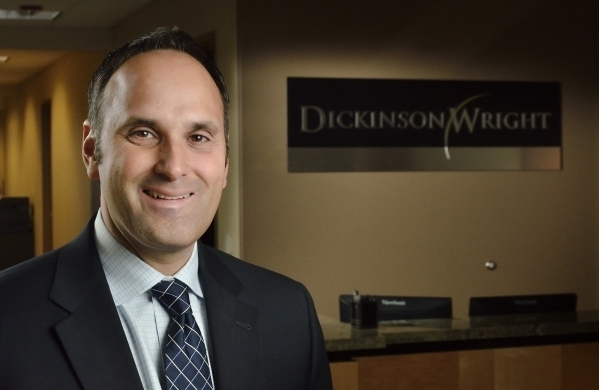 Policastro, who earned his juris doctorate from Syracuse University College of Law and LLM in taxation from Georgetown University, focuses his practice on taxation, estate planning and corporate matters. 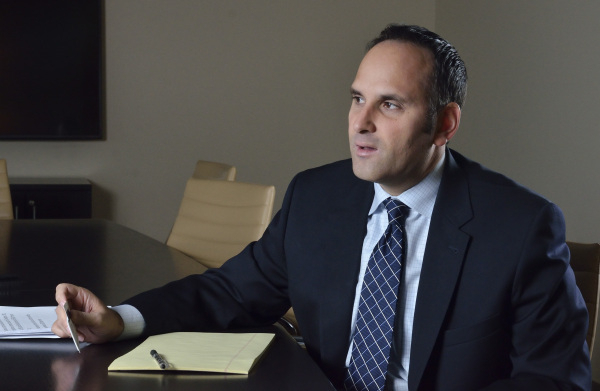 He represents clients with the formation of business entities and with corporate and partnership tax issues. In addition, he represents clients who have been audited by the Internal Revenue Service and the Nevada Department of Taxation. He has been a presenter at sales and use tax seminars for both Lorman and National Business Institute. “They’ll have to file a return whether or not they owe the tax,” he explained. “Any business that engages in business in Nevada will have to file a return every year. Businesses that have more than $4 million of gross revenue will have to pay a tax on the excess. If any business entity fails to file, the entity will be fined. For those businesses that owe money, the penalty for not paying on time is 10 percent of the amount or tax owed plus interest at a rate of 0.75 percent per month. For tax purposes, the year for determining the commerce tax is July 1 through June 30, Policastro said. “If you don’t owe, there probably would not be a penalty, but it would never close the statute of limitations for that client who didn’t file,” he said. “So, you could always be audited. In Nevada, it’s eight years for the statute of limitations where it doesn’t close. It’s better just to file to limit the statute of limitations. The Nevada Legislature approved Senate Bill 483, a package of taxes that includes an increase in the corporation annual business fee, an expanded payroll tax, a higher cigarette tax and the new commerce tax on gross revenue. The bill also made temporary payroll tax and sales tax increases permanent, according to taxfoundation.org. The tax package is expected to bring in $1.4 billion new and extended taxes over the next two years. The money raised from the tax will go into the general fund, but it is designed for public education funding. Both the Nevada Legislature and voters had rejected prior attempts to impose other types of gross receipts taxes, and some of those who supported the new tax package did so while expressing a desire to revisit the decision in the future, according to taxfoundation.org. 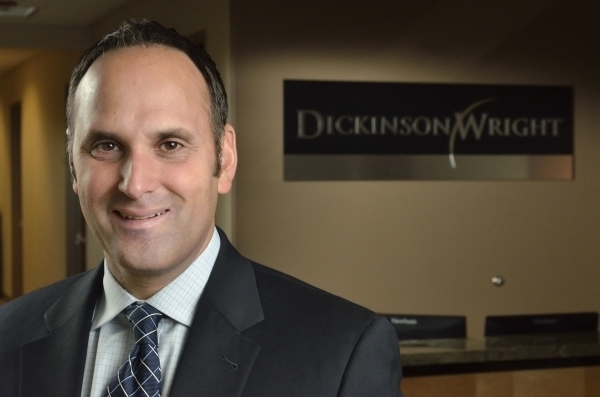 The initial filing with the Nevada Department of Taxation is also important because it determines which category of business the entity is primarily engaged in, Policastro said. Each of the 26 different business categories is taxed at a different rate. For example, industries engaged in mining, quarrying, and oil and gas extraction are taxed at the lowest rate. Rail transportation is taxed at the highest rate, which is 0.331 percent. If a business entity wants to change its designation, it will have to apply to the Department of Taxation which then will determine if the business is no longer engaged in the originally designated business category. Policastro added that there is an important record-keeping provision in the commerce tax. Businesses must preserve records that determine the tax category for four years or until any litigation or prosecution is determined, whichever is longer. Of course, a tax on gross revenue has upset some business owners. A state judge ruled in December that a referendum seeking to put Nevada’s new commerce tax to a public vote could proceed. Policastro said he’s not sure how it will all play out but he is concerned about how the state will administer the tax because of a staff shortage in the Department of Taxation. 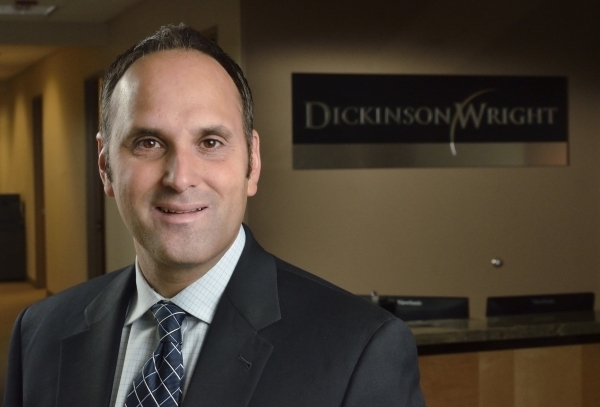 Policastro said his clients are keeping abreast of how all this controversy will play out as he expects the Department of Taxation to issue regulations this year to clarify certain things, such as the types of records that businesses will have to keep. However, he doesn’t expect that the commerce tax will force any businesses out of the state. He did add, however, that the commerce tax might make some entrepreneurs hesitant about starting a business in Nevada. The bad news for statewide businesses is there are no loopholes to avoid paying the tax.